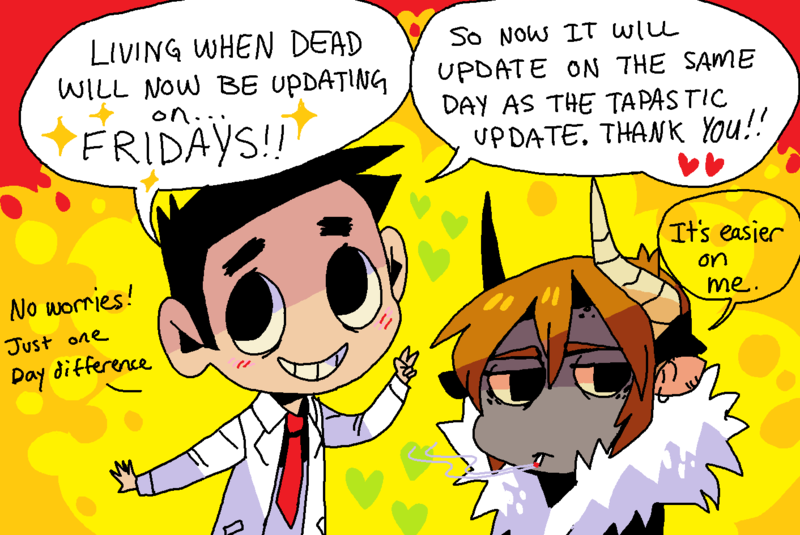 Updates will now be on Fridays! Here is the Tapastic link for those who would rather read it there -> TAPASTIC No big changes, just one day differnce to work better with my schedule and so I can have a little more time to get better quality pages. Bet you can’t spy them all! Feel free to comment on the pages, ask questions, or just say hello even 🙂 I love hearing from you guys and knowing if you are enjoying it!